From the moment you arrive, you’ll find hands-on activities, games and entertainment options that are sure to energize your entire Family. 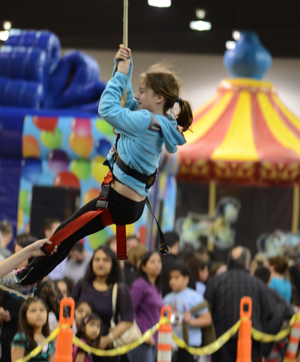 Discover fun things to do throughout Chicagoland and beyond while playing in this Giant Indoor Amusement Playground! Meet local & national companies that offer family related products and services. Kids Under 2 Free. Free Parking. Mark your calendar and be sure to bring your Family and Friends for a visit. Additional Entertainment & Food Concession Services will be available on a per ticket basis to include: Face Painting, Create Your Own Sand Art, Custom Waxed Hands Molding, Glitzy Girls Makeovers, Food & Beverage Items. Tickets may be purchased at ticket counter or on the show floor. Huge Inflatables & Kiddie Rides, 200′ Indoor Zip Line, Rock Climbing Wall, Trampoline Bungee Jumping, Exotic Animal Show, Petting Zoo, Carnival Rides & Games, Stage Shows, Mini Golf Course, Jurassic Adventure Playland, Panning For Gold Adventure, Pirate Ship Slide, Mickey’s Playhouse, Kiddie Obstacle Course, Cliff Hanger Giant Slide, Rugged Warrior Obstacle Course, Balloon Twisters, Face Painters, Costume Characters, Interactive Activities, Strolling Entertainers, Games, Prizes, Giveaways and much more…. And don’t worry about all the fun making you hungry — the festival will also have delicious food and tasty concessions. Make it a Getaway with a Fun Fest Package! General Admission Includes: Live Stage Shows, Trackless Train Rides, Interactive Activities, Petting Zoo, Giant Lite Brite Game, Panning For Gold Adventure, Exotic Animal Encounter, Indoor Miniature Golf, Meet & Greet Costume Characters, Princesses & Super Heroes, Exhibitor Offers, Activities, Raffles & Giveaways. Kids Under 2 Free. Free Parking. Adults do need to purchase an admission ticket. 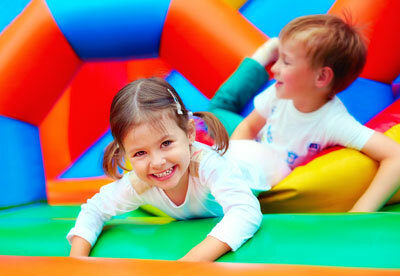 All General Admission Activities plus: 200’ Indoor Zip Line, Trampoline Bungee Jumping, Rock Climbing Wall, Jurassic Adventure Playland, Multiple Carnival Rides, Pirate Ship Slide, Mickey’s Playhouse, Inflatable Kiddie Obstacle Course, Cliff Hanger Giant Slide, Rugged Warrior Obstacle Course, Interactive Carnival Games. Family Fun Fest will have additional fun activities and service such as Face Painting, Sand Art Creation Station, Waxed Hands, Live Animal Feeding, Egg Hunt Surprise and Princess Make Overs. Additional tickets must be purchased for these services at a rate of $1.00 per ticket. 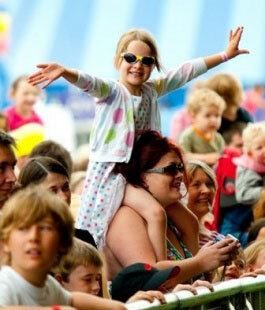 Do parents accompanying a child need to purchase a ticket? Yes you will need to buy a general admission ticket which includes: Live Stage Shows, Trackless Train Rides, Interactive Activities, Petting Zoo, Giant Lite Brite Game, Panning For Gold Adventure, Exotic Animal Encounter, Indoor Miniature Golf, Meet & Greet Costume Characters, Princesses & Super Heroes, Exhibitor Offers, Activities, Raffles & Giveaways. Kids Under 2 Free. Free Parking.